Barrett is a 2-year-old Pit Bull mix, a champion snuggle-bunny and, until recently, was a staff favorite at the Prairie Paws Animal Shelter in Ottawa, KS. That changed the day his new “Mom” showed up at the shelter. Sher Polvinale gives comfort to canines in their twilight years. The Washington Post website features a wonderful set of photos of Sher Polvinale and the many senior dogs that she cares for in her home: . . . This unusual perspective on a steelhead is all about the spots. I had a good friend come down from Vermont last weekend. He had turned me on to fly fishing a long time ago, and I took the day off from. . .
During the spawn, kokanees develop the classic sockeye hump, green head, and kype. 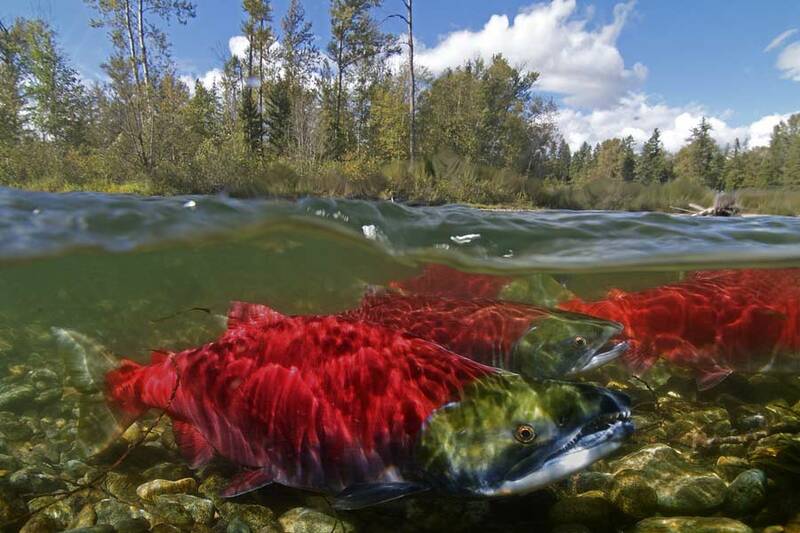 The landlocked version of the sockeye salmon, the kokanee (pronounced coke-a-nee) spends its entire life in fresh water. Instead of migrating to the ocean, adult kokanees inhabit large. . .
Each participant at every Casting for Recovery retreat has a story to tell. They are stories both happy and sad, but always there is triumph. The joy of mastering something new, accomplishing a task you thought was beyond you, connecting with people who know precisely what you are going through, having a few days to escape – relax – laugh – grow. Nancy McNamara, pictured above, was one such participant. Look at the sheer joy on her face! Nancy attended a CfR retreat in the Houston area last April…. The 2nd Annual Orvis Film Festwhich capped off the 2014 Down the Hatch Fishing Festival in Missoula, Montanaclosed with this video, which brought down the house. The video. . . 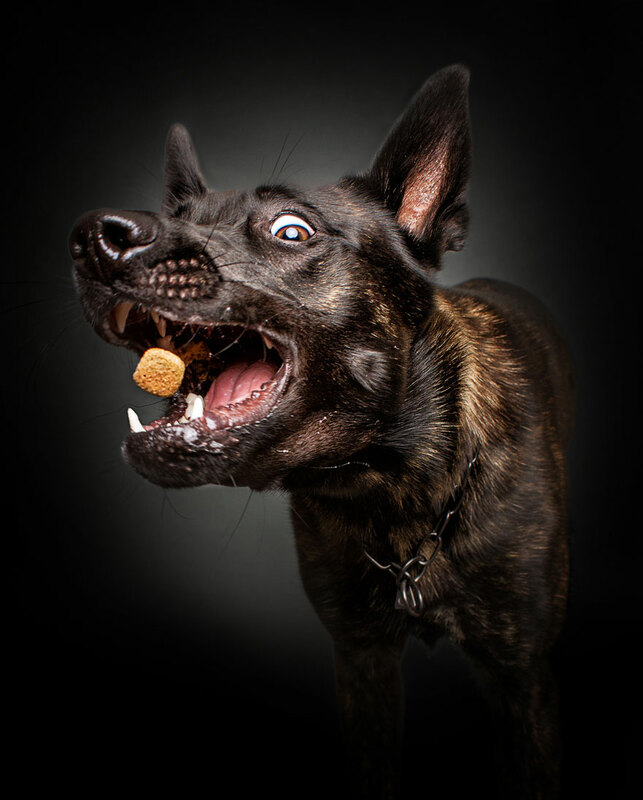 Thinking of new ways to capture the personalities of dogs is a tough job, so it’s great when a photographer lands on a truly new idea. German lensman Christian Vieler realized that. . .
You don’t have to cast as well as the late, great instructor Bill Cairns. . .but it sure wouldn’t hurt. A year has ended and a new one begins. Like most people, I look back and reflect on what the previous year has taught me or what insights I might have gleaned from all my time guiding. . . .
It’s simple: 3-D oyster reefs are imperative to the health and diversity of Chesapeake Bay. They provide habitat and food for crabs and fish, and clean water by filtering sediment, excess . . .
Here’s a beautiful news report about a sick little girl who got her wish earlier this month, when she was introduced to a new Labradoodle puppy, thanks to Make-A-Wish Vermont. Her desire for. . .